1. Why was your company created? Our beginnings are a bit untraditional but nonetheless they were what sparked the birth of what we know today as BabySpa®; a collection that we are very proud to stand behind and offer our consumers. Coming from a background of building global brands for other companies, we came across a category where we found a lot of dissatisfaction and confusion from moms, baby skin care, such a delicate category for such precious consumers needed more attention and it was important to get it right. We decided to use our marketing research know how to dig deeper into the subject and gain a deeper understanding of what discerning parents truly want and need for their babies. After spending endless hours sifting through hundreds of published pediatric dermatology white papers, conducting interviews and focus groups with moms, and testing dozens of popular baby care products in the market, the results were clear: there was not a single natural baby care line that fulfilled all of the demands of health- conscious parents without compromising quality, ingredients, textures and aromas. Wow… were we inspired! Armed with this information and truly understanding its importance, we felt the need to develop a bath and body care collection that moms could believe in, a luxurious, effective, safe, gentle, and natural range of products. We consulted with dermatologists, renowned European research labs, botanical experts, infant massage specialists, and partnered with Swiss labs and cosmetic-manufacturers. Three years later, we find ourselves very excited to offer our BabySpa® collection to the marketplace. BabySpa® is unique and effective in every way—from our ingredients and special formulations, to our therapeutic outlook and skin care approach. BabySpa® brings together all of the right vitamins, minerals, and antioxidants to give a child’s skin the nourishment and protection it needs, from head to toe. 2. What do you offer that is special? We have many special features to our product collection - Our collection merges Old World traditions with the latest advancements in baby skin care research to provide products that are gentle on baby skin, yet effective and innovative. We offer a unique skin care approach with a targeted “stages” system. Our product formulations contain patented Swiss moisturizers, exclusive therapeutic ethnobotanical oils and over 30 botanical blends to soothe, relieve and protect the skin of babies and toddlers; to create healthy balanced skin while inspiring pampering sensations. Stages System: BabySpa offers the world’s first stepwise approach to baby skin care with a “stages” system that targets the changing skin care needs of infants and toddlers as they grow and experience different environmental elements. Our Stage One products are formulated for the extra-sensitive skin in newborns through crawlers when baby skin is particularly vulnerable to the environment. This initial stage is meant to protect and heal irritations caused by sensitivities and to strengthen a baby’s delicate skin balance. Our Stage One products are infused with a fresh baby scent that creates a happy and cuddly feeling. Our Stage Two products, on the other hand, are formulated for walkers through preschoolers, providing proper moisture, long lasting hydration and natural protection from UV rays and changing climatic conditions that affect the skin. The uplifting citrus scent in Stage Two products is age appropriate and perfect for those exploring toddlers on the run. Therapeutic Ethnobotanicals Blends: BabySpa is the only baby care line to feature the following ECOCERT® certified ethnobotanicals in its ingredient mix: Kizis™ and Songa™, traditionally used by ancient Native Americans; Kendi and Nyamplung Oil, native to Indonesia and the Pacific Islands; and patended Swiss moisturizers. These exclusive and therapeutic botanicals are combined with other well-known healing ingredients such as Aloe, Calendula, Shea Butter, Cocoa Butter, Chamomile, Olive Oil and many more to provide naturally balanced products that gently soothe and nourish tender skin. 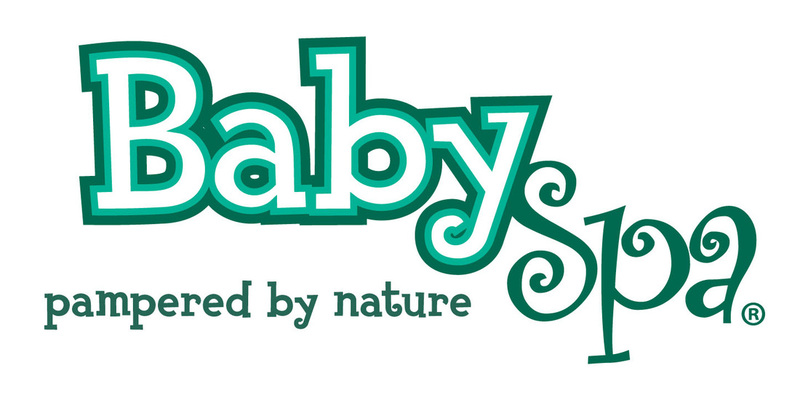 For a complete list of our natural ingredients please visit www.babyspausa.com. All of our products are 98-100% natural and totally free of parabens, phthalates, SLS, SLES, PEGs, BPA and mineral oil. 3. How do you see your influence in Social Media impacting others? The digital age has made consumers, especially new moms, savvier. Social media provides the outlet to talk about products, to post testimonials, to run promotions and to educate consumers on new launches and trends. It has become the vehicle parents rely on for recommendations, for do’s and dont’s. Social media has definitely provided BabySpa with an additional channel to share our skin care approach and to further understand the needs of parents. Through our social media efforts, promotions and stories, parents not only get to win free products, samples and coupons, but also learn more about the wonderful benefits of our millenary botanicals and natural ingredients while becoming more aware of the dangerous ingredients many other baby care brands currently carry in their products. We also currently provide helpful tips on infant baby massage, and soon to come will be webinars from dermatologists and pediatricians with healthy skin care tips for babies. We want our social media influence to provide an educational outlet for parents and to help create awareness about our social responsibility of nurturing the future generations of the world. 4. In regards to research, why would someone decide on your product? Research is our expertise. Our product development research includes analyses of hundreds of baby skin care white papers, dozens of focus groups with mothers, and consultations with renowned European research labs and expert dermatologists who confirmed the need for a more sensible baby care product collection that addressed the specific skin care needs of babies as they grow and are exposed to different environmental factors. We met with botanical experts to find natural, organic and effective ingredients and partnered with the highest quality Swiss labs and cosmetic manufacturers to help us develop our smooth and silky textures and signature fresh scents. At BabySpa®, we believe in understanding the benefits of each ingredient and matching the right ingredient to a specific purpose and need. Our exclusive ethnobotanicals have undergone extensive testing and are supported by scientific and clinical studies. They are all clinically proven to soothe irritated skin, reduce redness, hydrate skin, and serve as natural SPF boosters. 5. Where does someone find you? We are in hundreds of independent pharmacies, birthing centers and boutique shops around the nation. In the next 3-6 months we will be available in Walgreens, Ulta, and diapers.com among others. We expect to be available in Whole Foods by the beginning of 2013. At BabySpa®, we believe natural skin protection and nourishment is especially important as babies grow and are exposed to different surroundings. We also believe in pampering our children with happy feel-good aromas and vitamin rich ingredients that provide truly therapeutic spa experiences, ones that we would even love to use on ourselves! BabySpa was inspired by therapeutic spa cultures, ancient healing traditions and luxurious body care rituals. Our eco-certified and unique ethnobotanials were traditionally used by ancient Native Americans; our vitamin-rich oils are native to the Indonesian and Pacific Islands as well as the Mediterranean regions; and our patented moisturizers are naturally blended in Switzerland. At BabySpa®, we have a fundamental philosophy that goes beyond just a line of all-natural, eco-friendly products. It is a belief that the special connection between mother and child begins with the power of touch. Our bath milks, body washes, shampoos, lotions, creams, and oils are all naturally blended to wrap babies in silky-smooth goodness turning day-to-day baby care routines into memorable bonding moments while promoting healthy and targeted skin care. Our collection offers a complete ‘a through z’ range, with everything from the essentials; diaper cream, moisturizing body lotion, shampoo and body wash, to the more spa-oriented components, including bubble bath milk, face cream and massage oil. 7. Do you have any testimonials you would like to share? The National Parenting Center 2012 Seal of Approval: Reviews from Panel of Judges- “Combining shampoo, body wash and moisturizer is a dream come true for parents, especially those with children who have dry skin.” The line’s Soothing Face Cream was also highly praised as parents reported it healed their children’s chapped skin very quickly especially during cold conditions. NY Mom’s World Blog: My boys have sensitive, fair skin, and I am always looking for natural products that clean up their messes but also protect their skin. Smelling good is key, too. Recently we tried out Baby Spa‘s Stage 1 line, and not only am I impressed by the formulas and philosophy behind the collection, but they also work well and smell great! Bottom line: I appreciate the ease with which I can see what is in each product (and why), and we love the way these products do what they say they will. Family Focus Blog: Two BabySpa products that stood out to me immediately were the Bubble Bath Milk and the Soapless Body Wash because both sounded nice and mild for my son who has very sensitive skin and my daughter who is also sensitive to too much soap in a different way. The Bubble Bath Milk has a soft pleasant citrus scent and leaves my kids’ skin nice and soft. The nourishing Evening Primrose, Olive, and Sweet Almond Oils in the Bubble Bath Milk leave their skin moisturized and protected. We like the Bubble Bath Milk for a nice relaxing evening bath and the Soapless Body Wash for more targeted cleaning after playing in the dirt or sandbox. Mommies Point of View Blog: about Stage Two Soothing Face Cream- I really like this product as it is Fragrance Free which is good for my son. Plus I like how smooth his face felt after we used it. I also like knowing it is not only good for toddlers through preschoolers but also adults with sensitive skin and so I tried it and I like that my skin is also clearer and smoother plus softer and the product is non greasy. About Stage 2 Soapless Body Wash: I gave my son a bath with this and he really Loved how it felt in his hand. I like how it is thick and does not run out of your hands. I also like that it is non greasy and is good for either girls or boys. Plus it is safe for everyday use and it can be used on adults. About Stage 2 Nourishing Massage Oil: I use it on my son right before nap time and bed time and it relaxes him and he seems to fall asleep sooner and he sleeps better as well. I am thinking of trying it on myself as well. You can add this to their baths which is what I would do for me. But for my son I massage it into his skin as he loves for me to rub his back and this allows me to spoil him a bit. 8. What is your mission? Enhance the power of touch and emotional connections by providing parents wholesome and therapeutic ways to nurture their children’s skin. We want to promote healthy balanced skin for children and turn everyday routines into pampering moments. We want to promote enjoyment and feel-good experiences in everyday family life. Our commitment is to deliver high quality natural products through the use of sustainable sources. Our manufacturing practices are all environmentally sound and eco-friendly with no use of animal testing. We believe in giving back to the communities we work and live in and lead the way with innovation. *We would also like to mention that our collection has been awarded the Gold Seal from the Mom’s Choice Awards and The National Parenting Center 2012 Seal of Approval. These two seals are awarded based on reviews from parents, children, and education and media experts.